“Equal Access to Information through Outside Databases: How to Design a Query for Legal Research; Legal and Law Related Databases.” In From Yellow Pads to Computers: Transforming Your Law Practice with a Computer , 2nd ed., edited by Kathryn Braeman and Fran Shellenberger, 133–44. Chicago: American Bar Association, 1991. “The Northwest Consortium of Law Libraries Experience,” Law Library Journal 85 (1993): 775–81. “Where Are They Now? The Founding Members of the State, Court & County Law Libraries Special Interest Section of the American Association of Law Libraries,” Law Library Journal 87 (1995): 50–68. “Courts, Their Libraries and the Politics of Technology,” Trends in Law Library Management and Technology 7 (Oct. 1995): 1–3. “Broadening the Scope of Membership,” AALL Spectrum 1 (Feb. 1997): 20–21. “Balancing Act: Reconciling Privacy with the Public’s Right to Know,” AALL Spectrum 8 (July 2004): 14–15, 35 (with Bob Oakley). “Giving Back to Your Profession: AALL’s New Planned Giving Program Allows Members to Leave a Lasting Legacy on the Profession,” AALL Spectrum 10 (Nov. 2005): 22–23. “The Future for Public Law Libraries,” AALL Spectrum 10 (July 2006): 18–19, 33. “Trends in Public Law Librarianship,” Trends in Law Library Management and Technology 20 (2010): 9–14. “Law Librarianship.” In Encyclopedia of Library and Information Sciences , 3rd ed., edited by Marcia J. Bates & Mary Niles Maack, 3212–3234. Boca Raton, Fla.: CRC Press, 2010 (with Richard A. Danner and Mark E. Estes). “Equipping Our Lawyers: A Report on the ALI-ABA and ACLEA Critical Issues Summit,” AALL Spectrum 14 (March 2010): 16–17, 26–27 (with Kay Moller Todd). “AALL Works to Promote Law Librarians’ Interest,” AALL Spectrum 15 (Feb. 2011): 29–30 (with Kay Moller Todd). Judith Meadows Interview. In An Oral History of Law Librarianship, interviewed by Patrick E. Kehoe, Sept. 3, 2012, videorecording. Spinelli’s Law Library Reference Shelf, HeinOnline. Elizabeth L. Moore, “Recognizing the Outstanding: Carolyn P. Ahearn and Judy Meadows Receive the 2013 Marian Gould Gallagher Award.” AALL Spectrum 17 (June 2013): 22. “Quality—A Moving Target,” Syllabus (ABA Section of Legal Educ. & Admissions to the Bar) 19 (Dec. 1988): 7. “Memorial: Jane Strable (1918–2002),” Law Library Journal 95 (2003): 143–44. “Adolf Sprudzs: In Memoriam,” Law Library Journal 95 (2003): 324–25. “Law Library Budgets in Hard Times,” Law Library Journal 103 (2011): 91–111 (with Taylor Fitchett, James Hambleton, Penny Hazelton, and Anne Klinefelter). Meredith Heagney, “Law School, Law Library Community Laud Judith Wright as She Prepares to Retire,” Univ. of Chicago Law School, May 21, 2013, www.law.uchicago.edu/news/law-school-law-library-community-laud-judith-wright-she-prepares-retire. Frank G. Houdek, “Introducing the Hall of Fame Class of 2013: AALL Honors Brecht, Spinelli, Todd, and Wright,” AALL Spectrum 17 (June 2013): 28–29. Pauline M. Aranas, “Gallagher Award Celebrates Outstanding Achievement: S. Blair Kauffman and Judith M. Wright Recognized for Service to the Profession,”; AALL Spectrum 20 (May/June 2016): 36–38. Medical Malpractice Insurance and its Alternatives: The Legal, Medical and Insurance Literature—A Bibliography. Monticello, Ill.: Council of Planning Librarians, 1975 (with Alan Holoch and Kathleen Pecarovich). “Minorities Employed in Law Libraries,” Law Library Journal 71 (1978): 283–88 (with Robin Mills). “Accelerated Legal Research at U.S.C. Law Center,” Law Library Journal 75 (1982): 167–70. “Teaching Legal-Research Skills,” Journal of Legal Education 32 (1982): 285. “The Impact of Automation on Academic Law Libraries.” In Legal Information for the 1980’s: Meeting the Needs of the Legal Profession, edited by Betty W. Taylor, 159–62. Littleton, Colo.: Fred B. Rothman & Co., 1982. “Changes in Legal Scholarship and Their Impact on Law School Library Reference Services,” Law Library Journal 157–64 (1984). “Changes in Academic Law Librarianship Noted,” Syllabus (ABA Section of Legal Educ. & Admissions to the Bar) 19 (June 1988): 6. “Automation and the Changing Environment of Legal Scholarship: Introduction,” Law Library Journal 83 (1991): 623–26. “Method to the Madness: Ways to Increase Academic Law Librarian Salaries,” AALL Spectrum 6 (Nov. 2001): 4, 11. “Service to the Parent Institution: It is Worth the Effort.” In The Spirit of Law Librarianship: A Reader, 2nd ed., edited by Roy M. Mersky and Richard A. Leiter, 41–44. Chicago: Alert Publications, 2005. Albert Brecht, “Back to the Future—My First Annual Meeting,” in Frank G. Houdek, “Stories of ‘My First Annual Meeting,’” Law Library Journal 88 (1996): 21–22. “Professors Albert Brecht, Edward McCaffery, and Elyn Saks Formerly Installed as Holders of Prestigious Professorships,” USC Law (Fall 1998): 22–23. Margot McLaren, “Getting to Know You: Albert O. Brecht,” Southern California Association of Law Libraries Newsletter 30 (September 2002): 16–17. Robert K. Rasmussen et al., “Memorial: Albert O. Brecht,” Law Library Journal 104 (2012): 613–21. Spinelli worked for a time in Rothman’s publications department, where he oversaw warehouse and inventory control and had few responsibilities outside the office, but by the mid-1970s he was regularly conducting on-site library visits and attending AALL chapter meetings. As Spinelli said in an interview for George Washington Law Library’s Legal Miscellanea magazine, “I became more visible in the profession via these visits and meetings.” He explained that the approach he took to these interactions was not typical for reps. “I emphasized getting to know individuals as much as familiarizing myself with each collection…. I wanted to make it clear that communication was the most important factor in dealing with a vendor, and that the best relationships between library and vendor were based on satisfying interactions.” The many library collections he helped build over the years is testament to the wisdom of his approach. 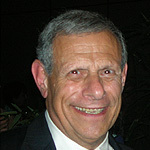 Although involved in the development of many important legal information products over the years—HeinOnline, including the recently launched Spinelli’s Law Library Reference Shelf, is a prominent example—Spinelli is unlike most Hall of Fame members in that he does not have long lists of publications or AALL leadership positions on his résumé. What he does have, however, is a first-name relationship (and frequently a friendship, as well) with virtually every member of the profession from the past 40 years. No wonder he is a Hall-of-Famer. “Legal Classics Library,” CRIV Sheet 28 (Feb. 2006): 12. “Spinelli’s Law Library Reference Shelf,” HeinOnline, 2013–. Richard J. Spinelli Interview. In An Oral History of Law Librarianship, interviewed by Frank G. Houdek, July 14, 2013, videorecording. Spinelli’s Law Library Reference Shelf, HeinOnline. “The Relocation of a Law-Firm Library, National Law Journal 7 (Jan. 28, 1985): 14 (with Susanne D. Thevenet and Kathie L. Weinberg). “Formation of a Law Library,” New York Law Journal 193 (Mar. 25, 1985): 29 (with Susanne D. Thevenet and Kathie L. Weinberg). “Librarians Walk a Tightrope Between Tech and Law; Administration of Legal Libraries Requires Research Skills as Well as Computer Savvy,” National Law Journal 22 (July 17, 2000): C4 (with Jeannine Coscia). “The Right Way to Research: To Reach Your Destination, Ask the Right Questions, Make a Plan, and Know the Tools,” Legal Times 26 (Sept. 29, 2003): 29. Carolyn Ahearn, Interview. In An Oral History of Law Librarianship, interviewed by Patrick E. Kehoe, July 15, 2013, videorecording. Spinelli’s Law Library Reference Shelf, HeinOnline.